Crickets eat seeds, plants and insects. When environmental conditions become unfavorable, crickets tend to move indoors. Their method of entry into buildings include open doors and windows as well as cracks in poorly fitted windows, foundations, or siding. 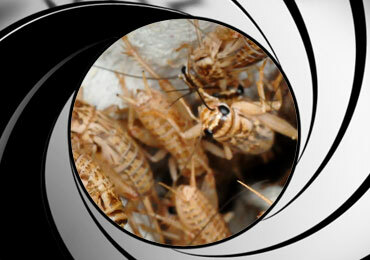 License to Kill specializes in cricket pest control, we also have extensive experience eliminating crickets in historical structures as well as commercial properties and apartment complexes. At License-To-Kill, we understand pesticide sensitivity. If you’re allergic to pesticides, concerned about your pregnancy or are concerned with your pets or children, we care and are prepared to work with you. Please call us for pest control needs today. Get Rid Of Your Crickets Today!